... sailing on the gentle waves of a green tea sea, with a sky full of stormy clouds that looked like mini flowers floating across the sky. I landed the boat on an island and started to explore. There was a sign saying " This Way". Why not? I thought and off I went. I enjoyed hiking over hills in hues of turtledove and olive gold. The grass blowing gently in the breeze reminded me of brushstrokes on an impressionist's painting. Eventually I arrived at some beautiful gardens, with lovely flowers as far as the eye could see! I admired fields full of breezy, bouyant, daisy dots edged with ume flowers. In another garden bed I spied some beautiful blooms - Stone flowers. They were growing neatly in rows with their upturned leaves waving to the skies. Nestled behind them was a trellis covered in dense white vintage roses. You can imagine how lovely they smelt. So delicious with a cup of rose hip tea. and there I sat with pretty fabrics around me, waiting for me to sew. I found myself on the Umbrella Prints' website this afternoon - very tempting! 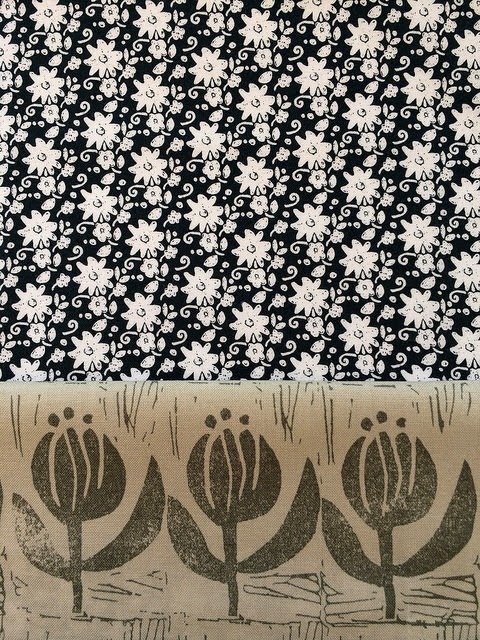 Lovely post RAchael full of your storytelling....awesome that there are now organic fabrics! How do you do this? The wee boat and the wee paths over the hills unfold like a children's best book. I am off to visit Umbrella Prints. Beautiful story!! The fabrics are lovely and your story brings them to life! Oh I love Umbrella prints, and paired with a fun story they are almost irrisistable! Your such a daydreamer..hahah ! Like Anorina said, that could be a great name for this quilt ! oh such happiness! that made me smile! 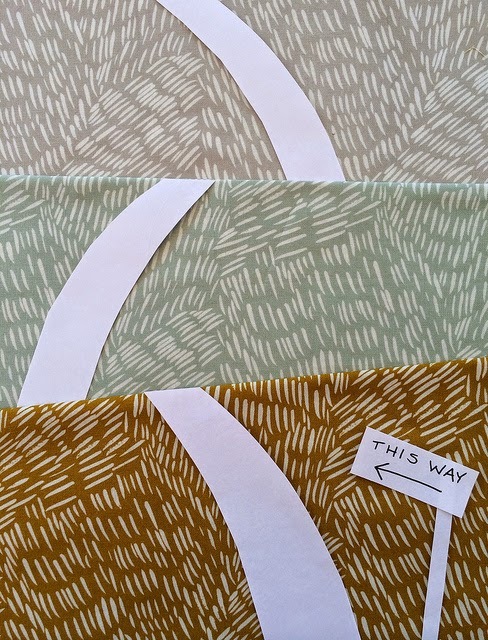 What a fun adventure through a great fabric collection. Great soft colors and really interesting prints. 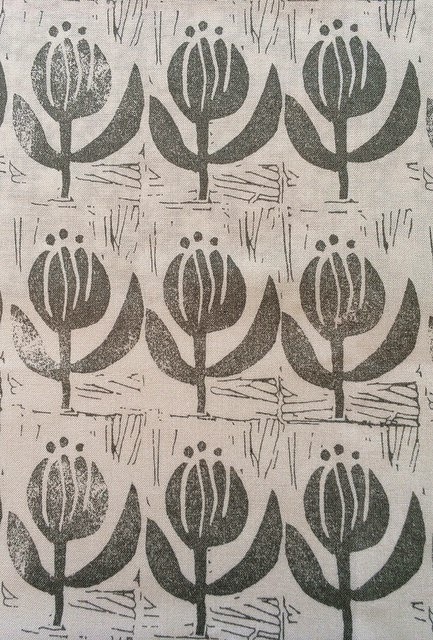 Reminds me of block printing or stamping. Thanks for the journey - the sailboat is soooo cute! 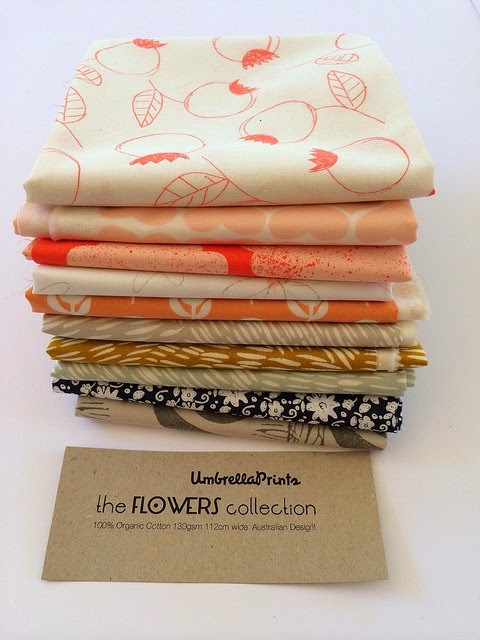 Lovely prints and lovely story - I felt like I was right there with you! Ok you actually had me believing you hand stamped some of that fabric with your bisuits! I was truly impressed. What a fun story and I think your creativity is wonderful. 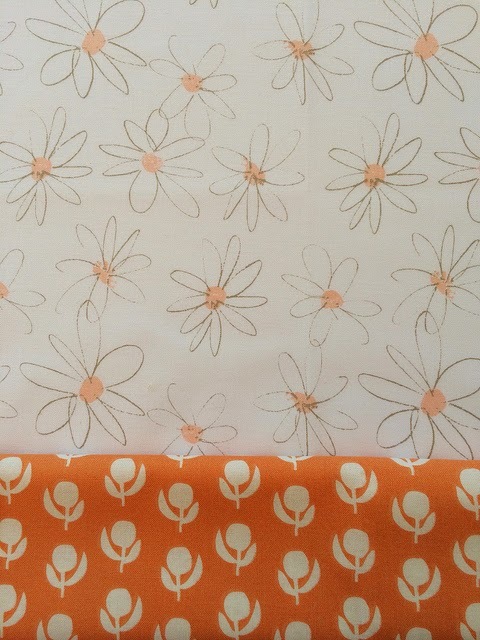 You just might need to write a children's book with your sweet fabric illustrations. OH I want to go sailing with YOU and eat BIG shortbread cookies!! What fun! Thanks for that wee story. aww ... really did think I would see a mini quilt at the end of this cute story! Love the way your tale evolve, can't wait to see the finished story. 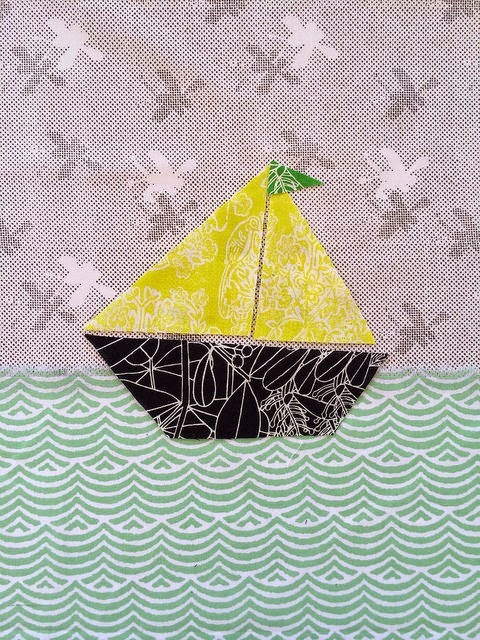 My favourite is the sailboat on the green sea. 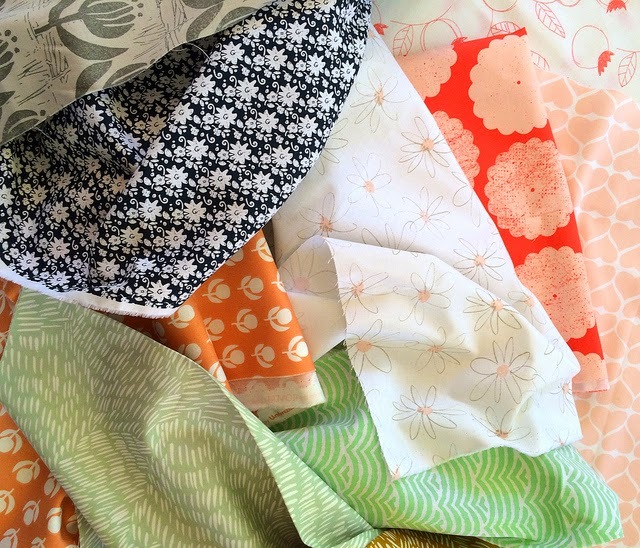 Some lovely fabrics there - have fun creating with them! Your stories always bring a smile and this one was flora bunda. The collection has an arts and crafts influence about it . Just right for your home. Enjoy you day. I love it when you weave us a story Rachael. I especially love the stone flowers. 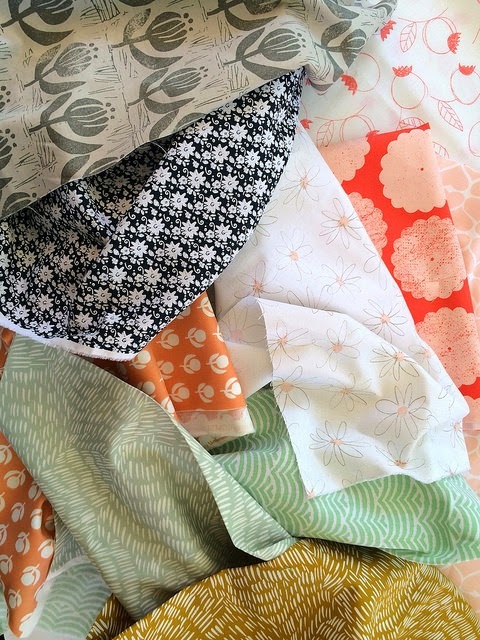 What a beautiful group of fabrics! Your florist shop must be amazing because your use of props and creativity is well honed honey!! Wow! That felt like a little mini vacation from our winter. Lovely fabrics! I hope Umbrella fabrics paid you with a humongous pile of their fabrics! Too cute! Your book coming out soon huh? You're a great story teller. The story and your wonderful fabrics made us all wish we could just do a little day dreaming too. I was sitting here shouting "yes, yes, yes" as I went along with you. Such fun! Loved your sweet story! 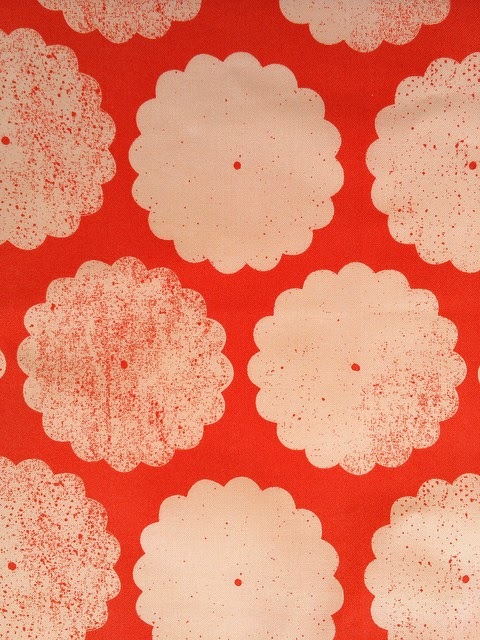 And wonderful fabrics too. Would love to see them in person. My faves are the stone flowers and the biscuit flowers! You have such a fun imagination, Rachael! Sei brava a raccontare storie! Bella la gamma di tessuti, colori vivaci e variegati! I love the Umbrella prints! And your stories always bring a smile sweet Rachael! What a fun story. And what better place to daydream than surrounded by beautiful fabrics. Thanks for taking us away!!! Love the whimsical trip through that stack of fabric! Can't wait to see what you do with it all. Such a clever post as always! Those stone flowers are such a beautiful print. Oh Rachael! I love it! I was so glad to see you were dreaming about the lovely Umbrella Fabrics...I usually have dreams like that after a Baileys or two! hehe! You have the best daydreams Rachael! Beautiful prints. I think you have missed your calling as a story teller! Loved seeing the gorgeous fabrics. 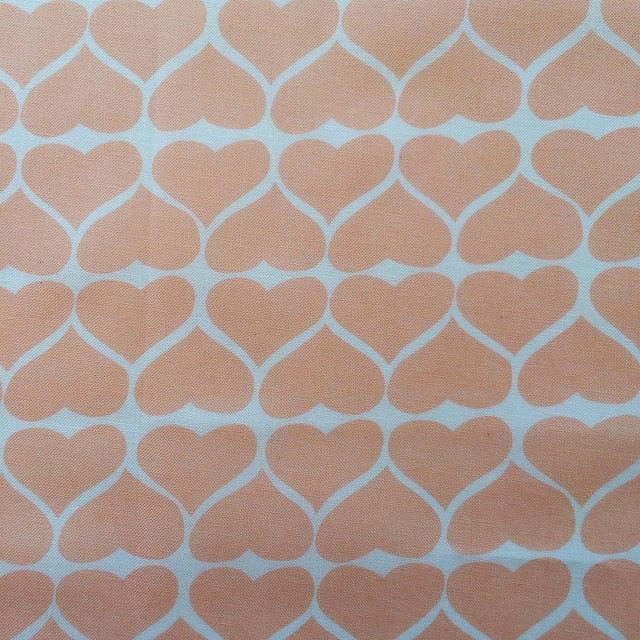 What a sweet "daydream" and great way to show new fabrics! My first time to see your blog, and I do plan on coming back to see what you come up with next! 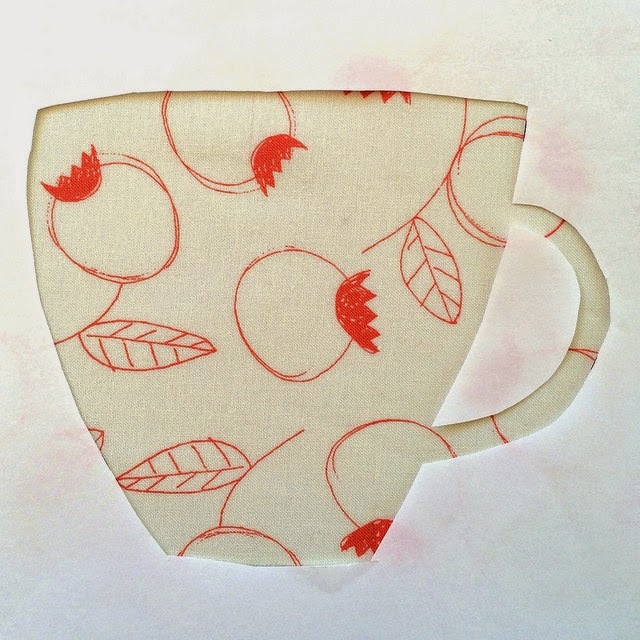 Yay for another one of your lovely fabric stories! I hope you had a wonderful time playing with and sewing up those fabrics. Ok...I really need a vacation...so I am going with you on a virtual flower vacation...I feel better now...Thank you.